Look at this sad, lonely 2017 Honda Civic Type R, in what looks to be a nice neighborhood in suburban South Carolina. But not everything here is nice. No, in fact, this neighborhood houses the tale of the poor hot hatch that came home with a new companion, only to be listed for sale a few hundred miles later. Alas, there the Type R sits, outside, with the bugs and the trees and the Nissan Altimas of this cruel world. You can see its sporty headlights—the windows to its soul—slightly downturned, looking back on its short run with the owner it thought would be shifting its six gears for years to come. But it just wasn’t meant to be. Instead of using their power to make hard turns or react to a mash of a pedal, its massive brakes are now tasked with the burden of stopping this car’s ever-beating heart from breaking into tiny, tiny pieces. It must be strong for its potential new owner. 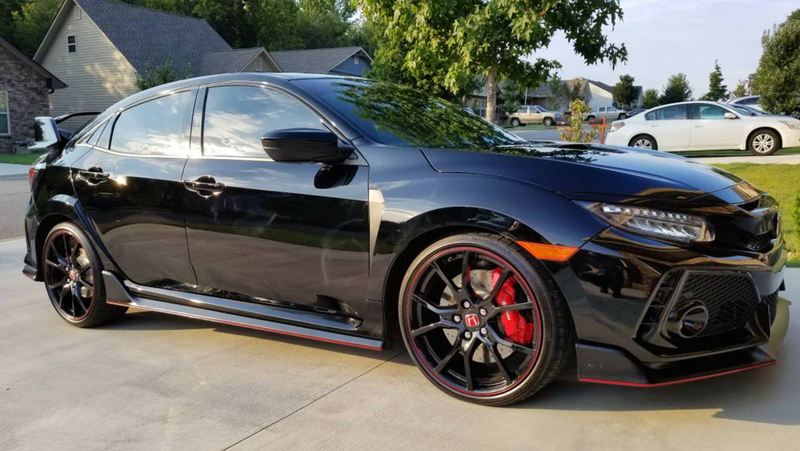 For reasons undisclosed in the Craigslist ad (naturally), its owner is selling this Type R off to the next person after well under 1,000 miles of driving and for more than $20,000 over its suggested value. Most new dealer models are going for far more than the $33,900 MSRP, but this sad soul is listed for a whopping $55,000. It’s hard to say for certain if the seller will make a profit on it, considering that dealers are selling the car for around double the MSRP in some cases. No “Truly yours,” no “We had a good run,” and certainly no love for this poor Type R. Luckily, we all know there’s probably someone out there willing to cough the money up to give this car a longer, more loving companionship than the last.